Have you got one in your life? You know the type we’re talking about. He or she always knows which restaurants to go to (and which ones NOT to), the must-have kitchen gadgets and luxury food splurges of the hour, and of course, what kind of contraption we’re supposed to be using to make our coffee these days. Yes, we’re talking about…. foodies. Not that we’re trying to put foodie-ism down! Here at Florida Fruit Shippers, we are 100% on board with having a taste for what is most delicious in life. It’s what motivates us day in and day out: growing, packing, and shipping out the sweetest, juiciest, most luscious citrus fruit for our loyal customers. And like foodies, we take a special joy in discovering and sharing our tasty finds. So, if you’re buying for a foodie, this holiday season or throughout the year, pull your chair closer. We’ve got your number. Valencia Oranges: Is someone you know a juicing fiend? If so, this is what you want to order. The classic juicing orange for a reason, these are heavy, sweet, and seedless, and their juice both keeps and freezes well. These are also perfect for that friend who loves to mix up fresh juice-based cocktails for the crowd. Honeybell Tangelos: These special fruit, little known outside Florida, have a passionate following of dedicated fans. They’re big, seedless, incredibly sweet, and very juicy, with a honeyed flavor that’s not like other citrus—tangeriney, but deeper. Some of us eat several a day in season! Your foodie will feel like you let them in on a secret. Oranges Three Ways: If your foodie is anything like the ones we know, they love to compare and contrast different flavors, savoring subtle variations in a similar product. Give them the opportunity with “Oranges Three Way,” which features flavorful Sunburst tangerines, classic Navel oranges, and Orlando Tangelos, which are similar to Honeybells. Robinson Tangerines: These little-known fruits offer an intense depth of flavor and are super sweet and easy to peel. Robinsons are fragile and can’t handle supermarket treatment, so they’re a rare treat…perfect for foodies in the know. 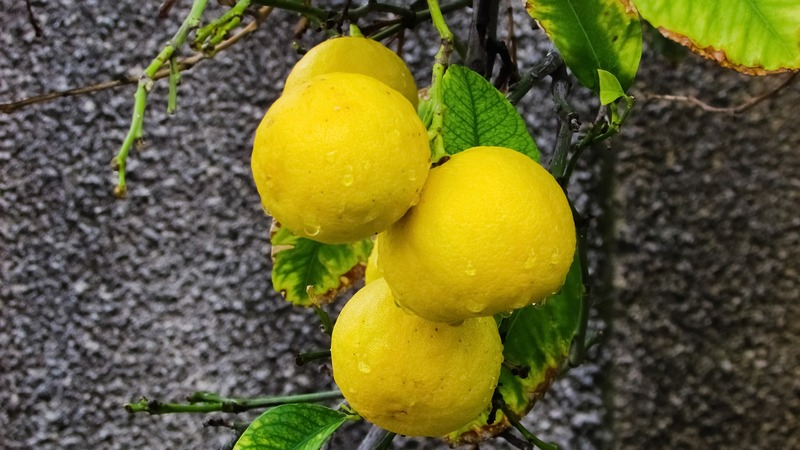 Calendar Club: Want to go all out for your citrus-loving foodie? Our calendar club will wow them with a lush variety of 6 months of fresh-from-the grove citrus. With 2 kinds of tangerines, temples, navels, ruby red grapefruit, honeybells, and juicing Valencias on offer, there’s a lot of sweet variety to choose from here. Key Lime Bundt Cake: All right, we know your foodie probably likes to bake his or her own luscious treats from scratch…but every once in a while there’s something that’s worth making an exception for, right? Our Key lime bundt cake is that exception. Made with 100% all natural key lime juice, it’s moist, tangy, buttery, and very Floridian. You won’t find this one just anywhere. What “goes with” a gift of premium Florida citrus? A beautiful juicer is an obvious choice. 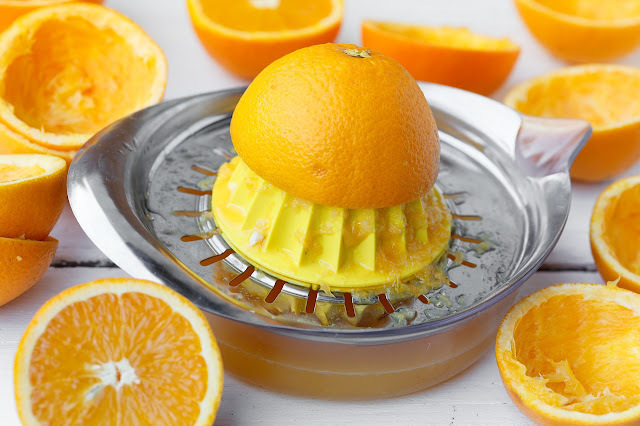 We’ve reviewed citrus juicers before, but if you need a quick pick, this is an attractive manual choice, while this electric option looks good and performs well. Is your foodie a wizard in the kitchen? 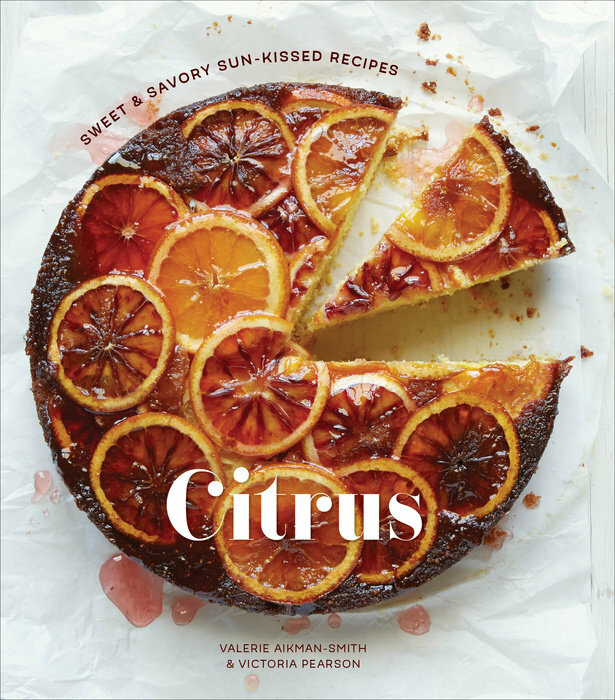 This beautiful citrus cookbook should inspire him or her to cook up some delicious gourmet treats with the fruit you’ve sent, like Tangerine Sticky Ribs or Orange-Rosemary Polenta Cake. Maybe you’ll even score an invite. If your foodie is more of a mixologist instead, then accompany your fruit with this beautiful guide to mixing the perfect drink, which will help them make classic citrus-based cocktails that use oranges, limes, lemons, tangerines, and grapefruit, like the Margarita, the Lemon Drop, the Paloma, and the Classic Daquiri. Bottoms up! Enjoy spoiling the foodie in your life. If you’re lucky, he or she will spoil you back. We’ve found that knowing and loving foodies can be very rewarding if you enjoy eating (and really, who doesn’t?) Over time, you might just find yourself turning into a foodie too. “Orange” You Addicted to Quizzes? Are you a big fan of citrus? 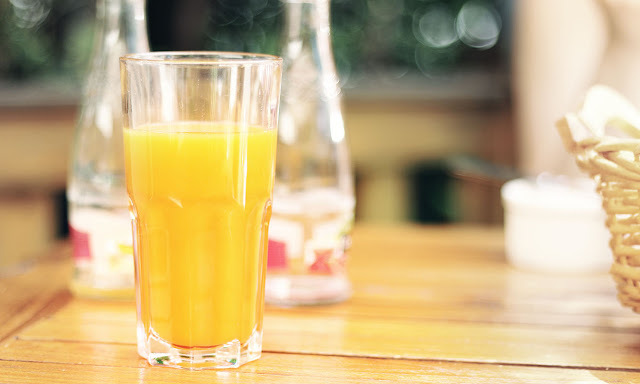 Do you love a tall, frosty glass of orange juice in the morning, or a sweet and tangy tangerine with your lunch? There are so many ways to enjoy the flavor of citrus that it wouldn’t be unusual to delight in it at every meal of the day—including dessert. 1. Which of the following is NOT a type of citrus fruit? 2. How many seeds can an orange have and still qualify as seedless? Answer: D Surprised? It’s true: a fruit with up to 6 seeds still counts as seedless to the US Department of Agriculture. You probably do know this if you think about it, as most of us have come across an errant seed when enjoying a seedless navel. 3. Which of these citrus fruits is not grown commercially in Florida in any significant amount? Answer: C Although plenty of homeowners enjoy growing lemons in their backyards here, lemons are not grown commercially in the Sunshine State in any numbers. The climate here isn’t ideal for these very high-acid fruits. 4. Which of the following strategies has NOT been used to protect orange groves from below-freezing temperatures? 5. What are the special vehicles used to bring harvested citrus fruit from the groves to the trucks called? Answer: A Yup. We’re not sure why, either. 7. What is the name of the official Florida citrus mascot? 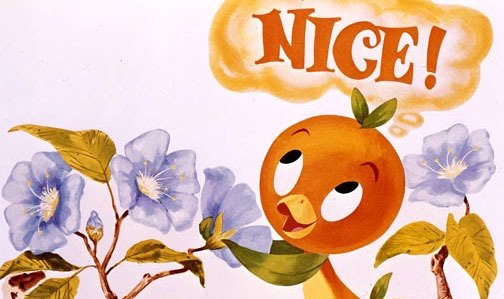 Answer: B The bright orange, big-headed Florida Orange Bird was created in 1970 by Disney and the Florida Citrus Commission. While he was out of commission for a while, you can see him again now at Tomorrowland Terrace in Disney World. 8. Why is Florida such a good place to grow oranges? Answer: A Who likes dry oranges? Nobody, that’s who. Our warm, wet climate (ever been through a summer storm in Florida?) ensures that our fruit is juicy-sweet. 9. How did marmalade get its name? Answer: A Marmalade, a bittersweet orange jam, is traditionally made from the Seville orange. The food dates back to the 1500s, when it was a Portuguese sweet made of quinces called marmelada. The first “modern” interpretation of marmalade appeared in the 1700s. 10. What percentage of Florida oranges grown today are processed for juice? Getting better. You’ve probably been to Disney at least once and may have tasted fresh-squeezed juice. You have eaten a Honeybell and own multiple pairs of flip-flops. You refused to buy anything but Florida citrus and know that when it comes to parking, what matters is shade, not proximity.